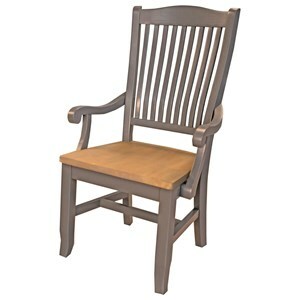 This ladderback upholstered arm chair features a bronze finished birch and poplar wood construction that showcases a classic dining room look. 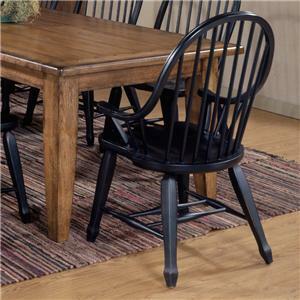 A very comfortable chair for the dining room. 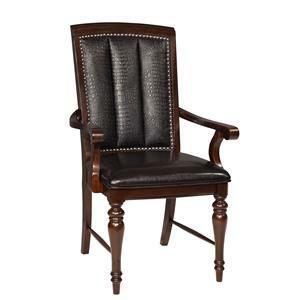 The Bennett Ladderback Arm Chair with Upholstered Seat by AAmerica at Van Hill Furniture in the Grand Rapids, Holland, Zeeland area. Product availability may vary. Contact us for the most current availability on this product. Browse other items in the Bennett collection from Van Hill Furniture in the Grand Rapids, Holland, Zeeland area.